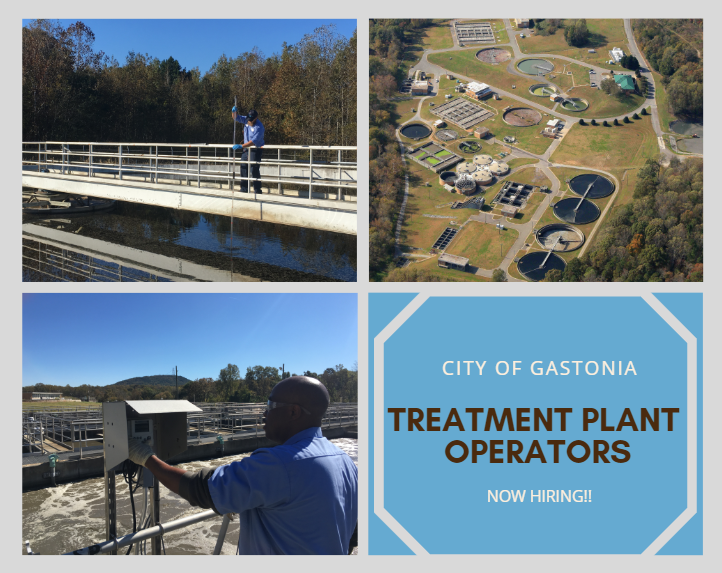 If you like science, working outdoors and a stable job with great benefits, join our great team of City of Gastonia/Two Rivers Utilities Wastewater Treatment Plant Operators! Click here to apply. Two Rivers Utilities provides water and wastewater services to a service area of approximately 100,000 residents of Gastonia, Bessemer City, Cramerton, Kings Mountain, Lowell, McAdenville, Ranlo and Clover, S.C. Our water treatment facility processes about 5 billion gallons of water per year. There are three wastewater treatment facilities –Long Creek, Crowders Creek, and Eagle Rd. All of TRU facilities have received the designation as an Environmental Steward from the state of North Carolina. For more information on TRU’s programs and services, please see the Quick Links section to the right.